Can I Recover Data from A Crashed Hard Drive? Please help me! My laptop crashed in a sudden and I could no longer reboot it. So I take its hard drive out and connect it with another notebook. Then the problem comes. I can see the drive letter on my notebook but I can hardly access my hard drive. But I do need my files on that hard drive. Can someone tell me how? If your hard drive is totally broken, it is almost impossible for you to retrieve lost data on it. What you can do is just to try to repair it. Fortunately, your crashed hard drive can still be recognized by your computer, thought it seems that you have no chance to access it. 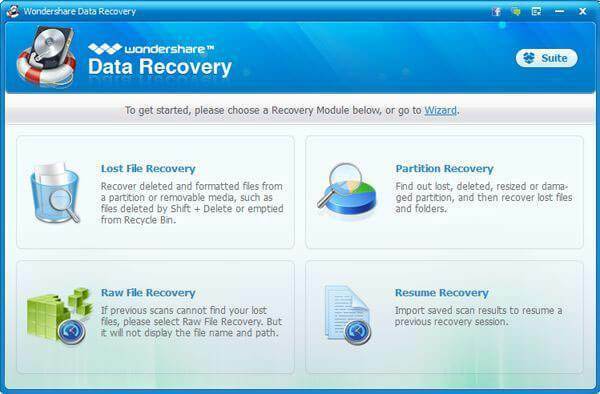 With a hard drive crash data recovery program like Wondershare Data Recovery, or Wondershare Data Recovery for Mac, you can easily and safely recover data from a crashed hard drive. 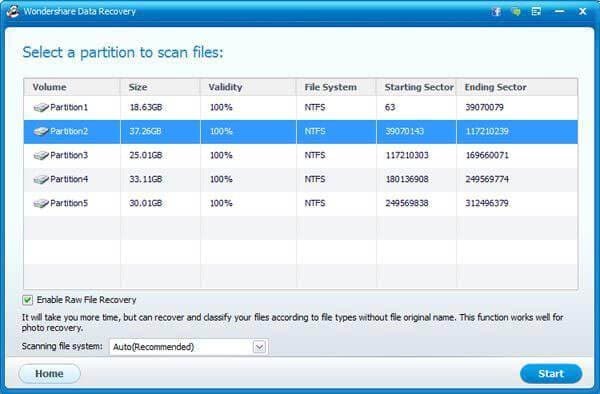 This special program gives you a chance to have a total scanning on your crashed hard drive, and then you will be able to retrieve almost all kinds of files from it, including videos, pictures, audio files, document files, etc. You can download a trial version of the program to start hard driver crash data recovery now. Please select the right version for your computer operating system. No matter you can or you can’t open it, the most important thing is that your crashed hard disk can be connected with your computer and recognized as a hard drive. Now let’s perform hard drive crash data recovery with Windows version of Wondershare Data Recovery. You’ll be provided with 3 recovery modes after launching the program and setting the program to “Standard Mode”. 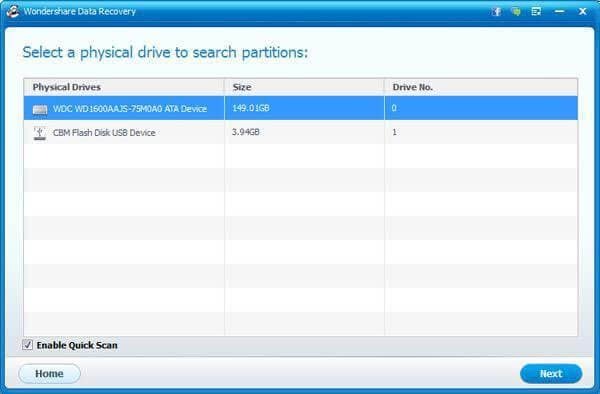 Since we are going to recover data from the whole crashed hard drive, let’s select “ Partition Recovery” as a try. 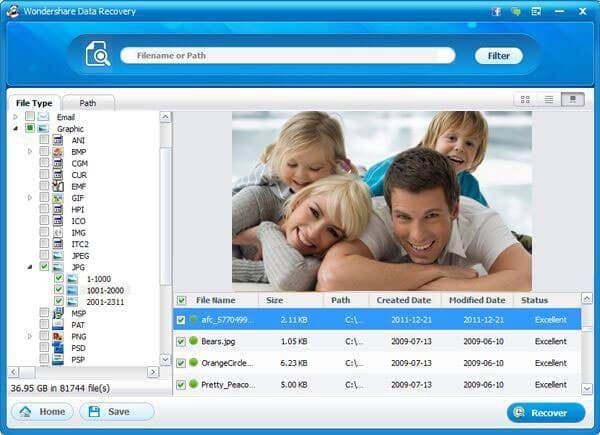 This mode helps you to process the recovery of lost, deleted, resized or damaged partition. Here you just need to select your hard drive and click “Next” to continue. Then partitions on your crashed hard drive will all be displayed in the window. You just need to select the partition that you are going to recover data from and click “Start” to scan for lost files. When the scan is over, all found contents on your crashed hard drive will be listed in the window. You can check file names or preview found images to check how many of your lost files can be retrieved. Then you just need to select files you want to recover and click “Recover” to save them on your computer.